We are an award-winning AC & Heating service provider in Houston Heights. Our family owned and operated business caters to the repairing needs of the Greater Houston area. If your residential air conditioner is not functioning properly, call our professionals. They will diagnose the problem and fix your unit in no time. Low refrigerant -An air conditioner should not require refrigerant to be recharged. Running low on Freon generally means that you have a leak of some type. Depending on location of the leak, it can be repaired without significant expense. Fan on outside unit not running -When a fan motor does not work, it overheats and may cause severe damage to your compressor. If it operates for too long without the fan, the compressor in the air conditioner can burn up. When the motor burns, your unit will need a replacement. Outside unit not running at all -Is your outside AC unit not running at all? A blown breaker or power not being supplied to the AC unit properly can cause this issue. You can fix it by calling our factory trained specialists. They will carefully troubleshoot your AC unit and make other necessary repairs. Wiring Issues -Improper wiring results in a lack of power flowing to AC unit which is essential to keep things running smoothly. It’s an easy fix which can be addressed by a qualified specialist in no time. Frozen coil -If your coil is frozen, this could be due to a leak caused by low refrigerant or in some cases blockage in the ductwork can also be the reason. Not changing the air filters on a regular basis can also cause this problem. When your HVAC system in Houston, TX needs service, call the experts from ASAP AIR Air Conditioning and Heating. Our technicians will address all the issues and fix your residential and/or light commercial system. 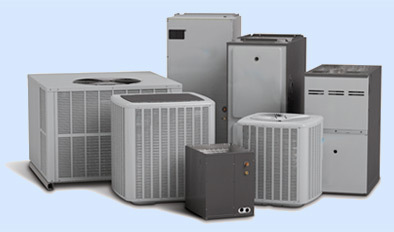 ASAP AIR Air Conditioning and Heating offers expert services at 20-30 percent lower prices than prevalent market rates. We do not subcontract our work out to other companies. All our technicians are experienced and industry trained, and are hired after conducting a thorough background check.